Place this round table at your chairside for a modern update to the room. The wood top and pedestal column are available in canaletto walnut and smoked oak finishes, while the metal base of this table features a chromed look. 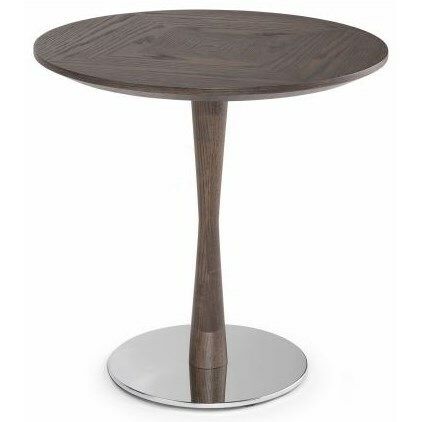 The Noci Accent Table by Natuzzi Editions at HomeWorld Furniture in the Hawaii, Oahu, Hilo, Kona, Maui area. Product availability may vary. Contact us for the most current availability on this product. Browse other items in the Noci collection from HomeWorld Furniture in the Hawaii, Oahu, Hilo, Kona, Maui area.